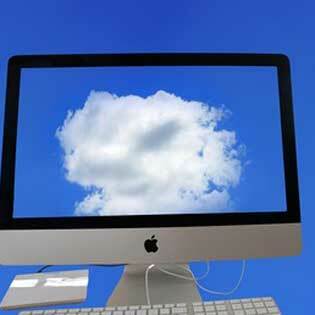 There is still a lot of misinformation being spread about the cloud. We get it; like anything that has to do with new technology or IT consulting, there are concerns about security, privacy, and cost. However, what many people don’t know is that they’ve been taking advantage of cloud technology for years now through popular apps and online services! The cloud has evolved tremendously over the years, from a shiny new idea with a lot of potential to a proven and secure technology that you can trust your business with. Here are some of the concerns we hear often, that might have been valid a decade ago, but don’t apply nearly as much anymore. Outsourcing important, and oftentimes confidential and extremely personal, information and data to another company is a scary thought. Suddenly there are a host of engineers that have access to your data, and how secure is the cloud itself, anyway? They say they’re a public cloud, does that mean my information is floating around out in the open with everyone else’s? Of course not! Firstly, all cloud options, including public clouds, are secure and managed through web portals only authorized members of the company can access. Second off, many of these concerns can be completely quelled by simply doing your research. Obviously, the cloud provider’s engineers and high-level team members will have access to your data, so you need to know you can trust them. If you still need to know what to look out for, we’ve written several blogs on how to find the right cloud provider. Once you find a team of cloud engineers you like, all you need to do is make sure their data centers and IT infrastructure is secure and protected with the latest anti-ransomware and malware software. What good is an IT security company if their own data centers aren’t secure? We get it, even though cloud adoption is widely regarded as a cost-saving option over hosting your own data center, all of the extra security software can get a little pricey. It may not seem like you’re getting good value spending a lot on cybersecurity when you’re just a small business and probably not a target for hackers in the first place. That’s a very dangerous misconception. Small, unprotected businesses serve as target practice for hackers looking for a quick payday. The giant data breaches you hear about in the news may lead you to believe only massive conglomerates get attacked, but that’s because a 10-user accounting firm getting ransomware isn’t enough to make the nightly news. Now, to address the cost of security software. The software bundles that are sold are usually marketed to bigger companies, which is why they are expensive. However, a cloud provider that works with a lot of small businesses purchases these licenses and sells the same bundles for less or sells specific pieces of the bundle. Ask the cloud provider you work with, or any cloud provider you interview, if they offer this option. For more information on the cloud and how it can help your business, please visit the TOSS C3 website or call us anytime at 1-888-884-8677.